When Narendra Modi was elected prime minister of India in 2014, one of the reasons that many welcomed him, at home and abroad, was that governance in New Delhi seemed to have ground to a halt. His predecessors in government, the Indian National Congress, had once been identified as the party of reform and competence. But a series of political missteps and growing popular opposition meant that they instead developed a reputation for administrative paralysis. 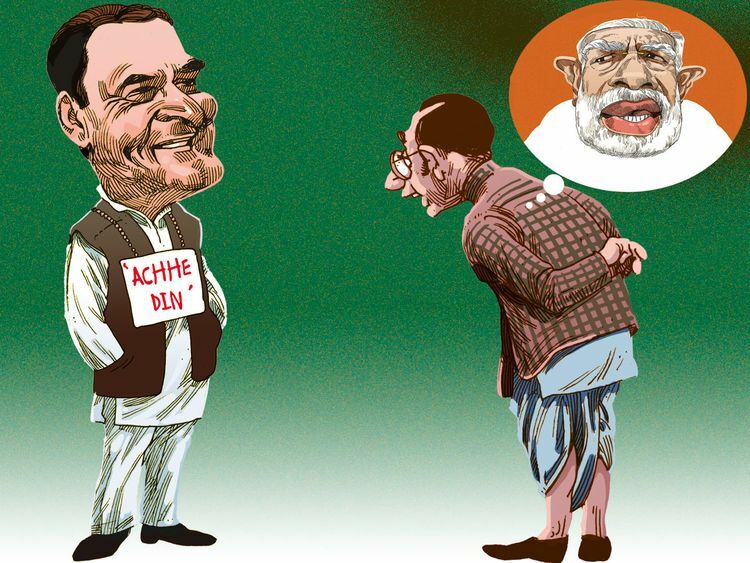 Five years on, the choice between Modi’s Bharatiya Janata Party and the Congress, led by Rahul Gandhi, seems to have been reset. For many, Modi’s government has not lived up to expectations. While he brought a new energy to governance, a lack of familiarity with policy combined with a lack of competence in his party and cabinet stymie his more ambitious efforts at reform. Last week, when the Congress released its manifesto for the forthcoming general elections, it felt like we were back in the 2000s. Much in the manifesto was reformist; it included several long-standing prescriptions from economists and public policy experts including legal reform, devolving more power to local governments and simplifying the goods-and-services tax. The BJP struggled to come up with coherent, pointed replies to these policy suggestions — even Modi’s finance minister was reduced to declaring that the manifesto was designed to help separatists break up the country. The contrast between the two sides could not have been sharper and it wasn’t the ruling party that sounded like the party of government. For the BJP, this is a lost opportunity. It should not have ceded leadership on economics and policy back to the Congress. Modi has tried to rebrand himself, in office, as a welfare-state populist. But the Congress’ manifesto is a reminder that the social-democratic party is always going to do better at promising welfare expansions than anyone else. It’s pledged that 3.6 per cent of GDP will be redistributed, as an income supplement, to the poorest fifth of India’s population. How the hundreds of millions of Indians meant to benefit from this would be identified is unclear — nor can anyone say what the impact on prices and the labour market of such a large basic-income programme would be. Even so this promise of a minimum guaranteed income has stolen the BJP’s thunder: It had hoped its own much smaller income-support programme for farmers would be sufficient to shore up Modi’s “pro-poor” credentials. The Congress of the 1990s and 2000s sought to present itself as the only party that could credibly deliver welfare precisely because it was capable of delivering growth, fuelled by economic reform. There’s something of that dual approach to the party’s 2019 manifesto as well. Sure, money has been promised to the poor, agricultural loans would be waived and the party has pledged to double public health care spending to three per cent of GDP. At the same time, the party also has quite a few plans that, if implemented, would be good news for investment and growth. For one, the Congress promised reform of tax administration, accusing the current government of giving the taxman “extraordinary discretionary powers that have throttled industry and come to be described as ‘tax terrorism.’” There’s some justice to that accusation, especially given the behaviour of Indian tax authorities over the past week. In the last few days before the end of the financial year, the amount of direct tax collected jumped by over 10 per cent — quite likely because income tax officials arm-twisted companies and individuals into paying extra advance tax in order to make the government’s figures look good. The Congress has also promised that small and medium-sized Indian companies, as well as all start-ups, would not have to file any paperwork for their first three years.Given the amount of red tape to which Indians have grown accustomed, this is quite a remarkable suggestion. If it were to be implemented, it might go some way towards changing what the default attitude to regulation in India is. If smaller companies get used to a low-interference environment, it will be hard to force them to return to the current, overregulated paradigm. Economic reformers have long wondered how to make the political case for deregulation. The Congress might have partially solved that problem. It’s unfortunate that the BJP, which has traditionally been the party of small business, could not come up with a potentially transformative plan of this sort. Perhaps it’s revealing of the degree to which Modi’s statist instincts have taken over. The Congress is still unlikely to get anywhere near power once elections are done in May. But, the party has at least reminded Modi that welfarism need to be paid for by deregulation and reform.